Our newest organic extra virgin olive oil is gently flavored with oil distilled from lemon peel, making it a natural complement to fish, chicken, spring vegetables and salads. 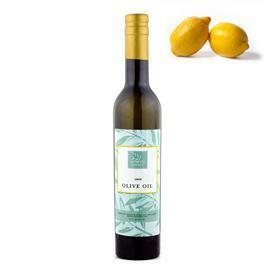 Lemon Natural Flavor Infused Organic Olive Oil, available at The Olive Oil Source Boutique> and The Olive Oil Source Wholesale Store can be a part of so many recipes, it’s hard to know where to begin. In our test kitchen, we paired it with herbes de Provence to create a flavorful marinade rub for baked chicken. Another favorite was creating a lemony pesto simply by replacing regular oil with this organic flavor enhancement. Naturally, it’s perfect for the classic vinaigrette or made even more special when combined with our own Cask 8 Balsamic Vinegar, on sale this month at The Olive Oil Source Boutique and The Olive Oil Source Wholesale Store, for a truly authentic Italian take on a very classic combo for dipping or dressing.